Do you need estate planning including wills, trusts and powers of attorney (POAs)? The attorneys Bolen Robinson & Ellis provide a wide range of estate planning and probate services. We know that estate planning is more than just wills and trusts – at BRE Law, we counsel you (and your family) and present practical plans and suggestions for the preservation and the tax-sensitive distribution of your assets to your beneficiaries. We have extensive experience with the complex tax and probate laws which apply to your situation and take pride in our ability to explain practical and understandable solutions for your individual situation. When disputes arise, we act as mediators and arbitrators, or when necessary aggressively litigate and advocate your position through the trial and appellate courts. We always keep in mind that in family situations, a solution reached among the parties outside the courts is often the best long-term solution. Because estate planning is a very personal process and an important part of planning for the future for you as well as your family, we draft our wills, trust agreements, powers of attorney and other estate planning documents, so they are understandable to you yet useful in implementing the personal planning and tax strategies in your estate plan. We are sensitive to the emotional aspects of estate planning and are confident our methods and explanations will make the entire estate planning experience satisfying. Living Wills – a living will tells medical providers, as well as your loved ones, your wishes in the event of a serious injury, disease or terminal illness that may prevent you from communicating those wishes. Powers of Attorney for Health Care – a POA for health care allows you to make someone your health care agent, a person who you trust to make decisions for you if you are unable to. 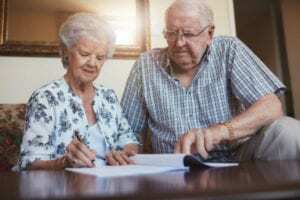 Powers of Attorney for Property – a POA for property allows you to select an agent to handle financial decisions in regards to your money and property. Do you need legal help with estate planning or probate matters for you or your loved one? Please contact us for a consultation.